LIVERPOOL is set to embark on a never-before-seen celebration of one of the most influential albums of all time – Sgt. Pepper’s Lonely Hearts Club Band. Hailed as the first-ever ‘art rock’ album, the city is curating a unique festival from Thursday May 25 to Friday June 16 which brings together world renowned artists and Liverpool-based talent, to pay homage to the 50th anniversary of what is widely regarded as the best rock and roll album of all time. With a National Lottery investment of £750,000 from Arts Council England’s Ambition for Excellence scheme the festival has been made a reality. 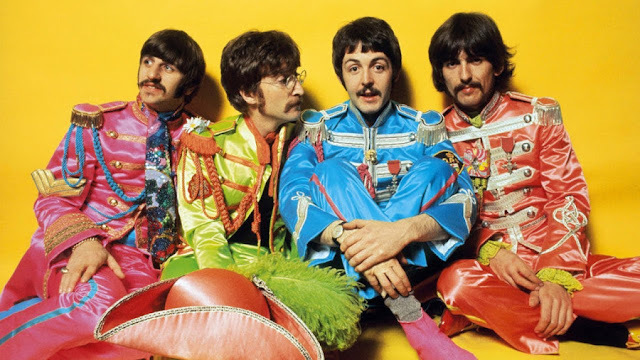 The celebration, Sgt Pepper at 50: Heading for Home will use each track on the album as the creative springboard for 13 new events. Its world premiere commissions re-imagine the original tracks which will evolve into a mixture of large and intimate events covering the worlds of art, dance, music, poetry and theatre. For more than two weeks there will be performances, installations and moments of surprise across the city, as the spotlight will fall on Liverpool to celebrate their most famous sons in a way befitting of a record which broke the mold and changed music forever. Mayor of Liverpool, Joe Anderson, said: “This is a landmark anniversary for a seminal album and we wanted to stage a fitting celebration which brings about a whole new interpretation of this classic piece of music. “Sgt Pepper pushed creative boundaries and we want to do exactly the same – this is a festival which brings high-end art in to the mainstream and gives it a Liverpool twist which is thought-provoking, sometimes cheeky and always entertaining. “It’s a huge coup to have these critically acclaimed, international artists work in partnership with the incredible creative talent we have here in Liverpool and it will be fascinating to see their creative interpretations of each track brought to life. The events will take place at locations across the city, including Liverpool’s Royal Court, Hope Street, Woolton Picture House, Camp Hill, Tate Liverpool, St George’s Hall and Aintree Racecourse. The exclusive events will be a mixture of ticketed and free, and there will also be the opportunity for audiences to get involved and perform in a number of the works themselves.